Buy Fireplace Insert - Fireplace inserts are a smart way to save money on your next fireplace upgrade or renovation project. Fireplace inserts are a great way to upgrade your current fireplace. The wood fireplace inserts for sale we sell provide a dependable and powerful way to convert your pre-existing fireplace into a renovated super-fireplace. Remodeling an old fireplace is an excellent way to enhance the look of your home. Shop here, save here, buy direct with HVACDirect.com. Breckwell, Osburn, and Buck Stove are three names in the fireplace industry that you can rely on. This trifecta of terrific fireplace insert manufacturers have the quality product you're looking for when considering a low cost fireplace upgrade for your home or cabin. Need something a little more obscure for your fireplace? 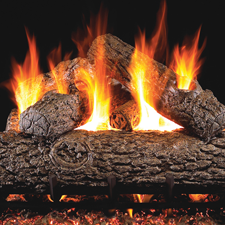 Check out our inventory of fireplace accessories and find the fireplace parts you need!